The objective of Work Package 10 (WP10) is the sustainability of data and tools beyond project lifetimes, which has long been an issue for EU-funded projects. 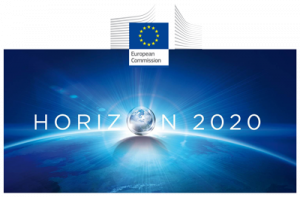 Thus, planning from the outset for the sustainability is vital, whether that be through hand-over to the EU Observatory for Nanomaterials (EUON), or through Advanced Community funding, will be considered and strategies developed during the project. To place the NanoCommons resources on a sustainable footing for the longer term, a business plan to secure future access and iterative development of the overall platform and set of associated infrastructure facilities will be developed. NanoCommons is foreseen to be an infrastructure for all. Nevertheless, its sustainability will depend on how to bring in the resources to run and maintain this infrastructure beyond the lifetime of the project. Therefore, several Work packages of NanoCommons WPs will focus right from the beginning on how to gain value added for the different stakeholder groups, hence, defining the information flow directions as well as the streams of resources. Additionally, the implementation of the sustainable concept will be supported by testing of this business plan during the runtime of the project. Further shaping and modifications according to the feedback gained during the sustainability-testing-phase is envisaged which will lead to a sustainable integration of NanoCommons infrastructure. implement pilot initiatives related to the sustainability plan and business model and incorporate learnings in updated plan and model.